There is always one that sticks out! The Movelta Group is one of the world’s leading textile manufacturers. The company is runned by the 3rd generation experienced in textiles and is located in Belgium. 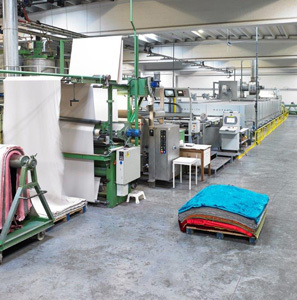 The Movelta group is a fully integrated textile group of companies with own preparation, weaving, dyeing and finishing plants located in the centre of Europe. In our 60 000 m² factory, our fantastic team devote all their talents and experience to create the most beautiful furnishing fabrics. Our team of designers follow the trends in furnishing designs and dedicate all their workforce to find the latest trends in quality improvement for you. 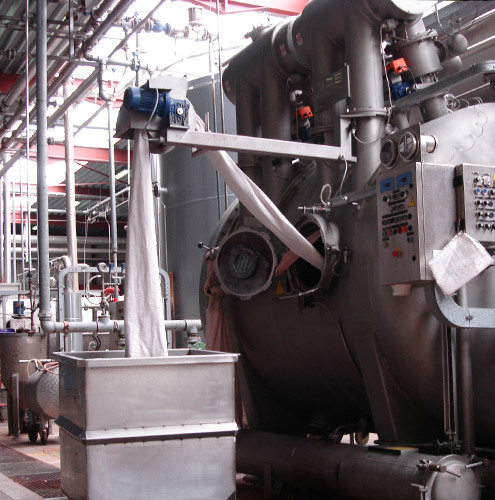 Waesland is our division in piece dyeing for high-end customers and only on demand. Waesland doesn’t work with agents but directly with the editors and above all, works on a 100% worldwide exclusivity on demand. 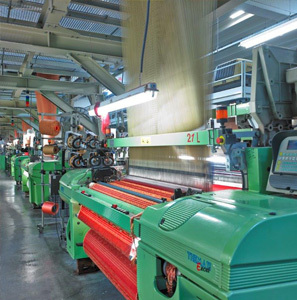 A specialized workforce is weaving on the best weaving textile machines with the finest yarns available on the European market. All out treatments are done in-house. We offer not only treatments to make the textiles softer and thicker, but we also are able to offer extra treatments such as FR, Teflon, Emerising, Easy cleaning... all according to our valid customer demands. We make textiles, we love textiles... every day.